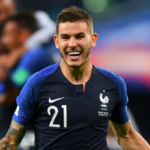 The 26-year-old Brazilian soccer star helped propel his national team into the quarterfinals at the FIFA World Cup by scoring the winning goal against Mexico. 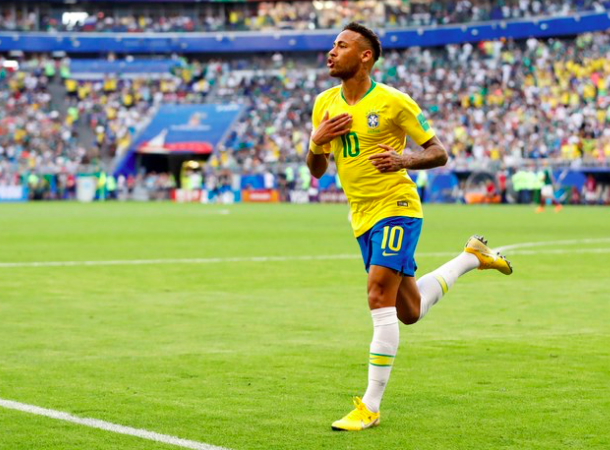 It was Neymar’s second goal at the 2018 World Cup, and his sixth overall in World Cup competition. Roberto Firmino put it away near the buzzer to seal the 2-0 victory, ending a tournament for El Tri that started perfectly and ended horribly. The talented Brazilians were by far the stronger team in the match, but Mexico had chances to make it more of a game. In the end, Mexico leaves Russia with consecutive scoreless matches. Brazil had 21 shots, 10 on frame, but a fantastic performance from keeper Guillermo Ochoa kept Mexico in it. Mexico saw plenty of the ball in the box, recording 13 shots, but only one tested Alisson in goal. With the match going back and forth, the winner came on 51 minutes off a stellar bit of play by Neymar. He got the ball to Willian, and the winger returned the favor in front of goal to open the scoring. Brazil will next face Belgium in the quarterfinals. Brazil finished fourth in the cup in 2014, but crashed out in the quarterfinals in 2006 and 2010.